Is pisco expensive? Ask the grapes! What makes a bottle of liquor expensive? Where does Peruvian pisco fall on the pricing scale of spirits? Let’s discuss why Peruvian pisco is a premium spirit and how its price reflects the quality and care of what goes into every bottle. The price of a bottle of liquor is influenced by its distillation methods, aging times, quality of ingredients, the labor involved in the production process and other factors. The higher the quality of ingredients or the more labor involved in making it, the more expensive it will be. For example, a meticulous distiller could use 17 pounds of potatoes to make one bottle of premium vodka. A cheaper brand might use significantly less potatoes, potatoes of lower quality or sloppy distillation methods. In other words, many factors influence price, but as a general rule, the more invested by the producers when crafting the product, the more it will cost at the liquor store. 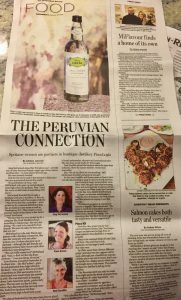 Now, why is Peruvian pisco on the higher end of the scale in terms of price? The answer comes down to grapes; there are a lot of grapes in one bottle of pisco. 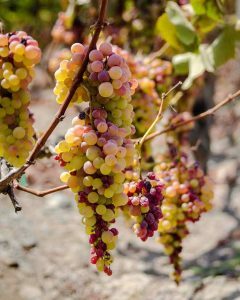 On average, there are approximately 7.5 kilos (about 16.5 pounds) of grapes per bottle of pisco puro or pisco acholado. 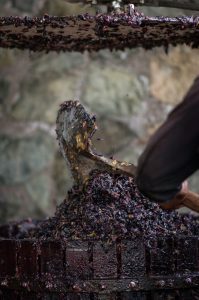 To make a mosto verde, you need an average about 15 kilos (33 pounds), double the amount of a regular bottle of pisco. To explain this further, we made the chart below. 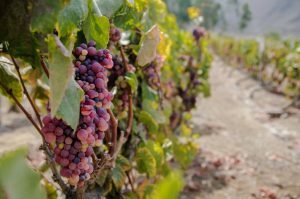 You can see how Peruvian pisco compares to wine with regard to grapes per bottle. These are averages, as cluster size, grape size and grapevine yield vary widely between vineyards. As evident in the chart, a bottle of regular pisco has more than 3,500 grapes in it, while a mosto verde requires roughly double that amount. That’s 7,000 grapes in one bottle of liquor! In Azpitia, we get an average of 2 kilos of grapes per plant. 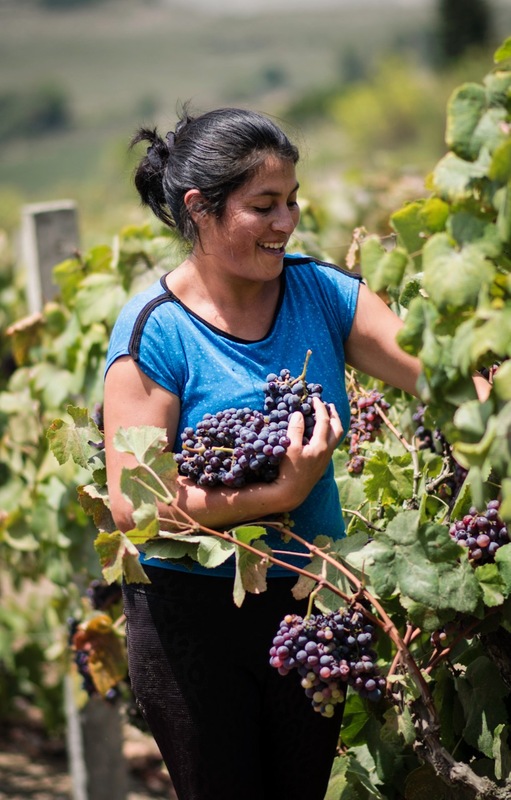 This means that one bottle of pisco puro or pisco acholado uses the fruit from almost 4 entire grape vines. Mosto verde pisco uses all the fruit from 7.5 grape vines. In addition to the sheer amount of fruit that goes into one bottle, one should also consider what’s required to produce healthy plants. Viticulture is arduous work. 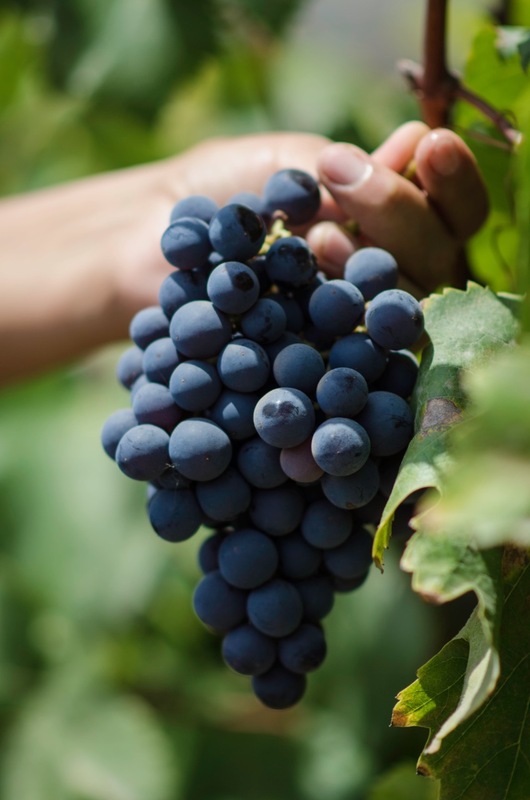 Grape vines must be carefully tended to for an entire year before the fruit can be picked. 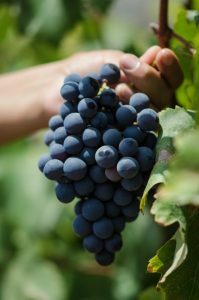 When you add in factors like hand-harvesting & hand-pruning, growing grapes can be even more expensive and time consuming. We hope the next you sip a PiscoLogía cocktail, you will have a deeper understanding of what goes into every bottle. Besides thousands of grapes, there are many factors that make Peruvian pisco premium. The taste and quality of our final product reflect its price, a quintessential high-end spirit. Gerling, Chris. “Conversion Factors: From Vineyard to Bottle.” Conversion Factors: From Vineyard to Bottle | Viticulture and Enology, 8 Dec. 2011, grapesandwine.cals.cornell.edu/newsletters/appellation-cornell/2011-newsletters/issue-8/conversion-factors-vineyard-bottle/. If you have ever felt overwhelmed by the jargon on a Peruvian pisco label, you have come to the right place. 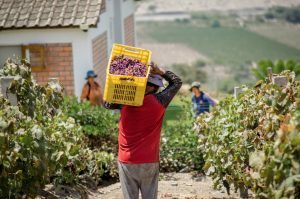 In this blog post, we want to help you understand the vocabulary used to differentiate between types of pisco, pisco grapes and production zones in Peru. Hopefully you can use this as a guide the next time you browse the brandy section of the liquor store. 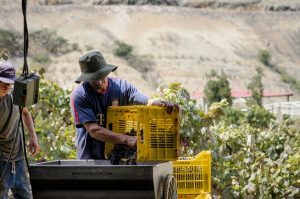 The Denomination of Origin in Peru requires that pisco labels must list 3 key elements: the type of pisco, the grape varietal(s), and where the pisco was produced. We will show you examples, but first we want to detail these 3 parts. Pisco puro– A single varietal pisco made from wine from one type of grape. Pisco acholado– Made from more than one varietal. It can be a blend of grapes or a blend of piscos. Pisco mosto verde– Pisco made from musts that aren’t fully fermented and sugar is still present in the juice. Mosto verde piscos tend to be more expensive because they use more grapes. 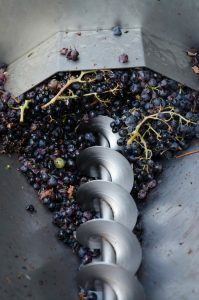 Some producers may denote whether the grape used is aromatic or non-aromatic on their labels, although it isn’t required. They are: Lima, Ica, Arequipa, Moquegua and Tacna (only in the valleys of Locumba, Sama and Caplina). Some labels might have more specific information about the D.O., for example the name of the valley or town where it is produced. You will see this is the case with our labels below. This corresponds to the type(s) of grape used to make the pisco. Remember, “acholado” is a blend of grapes. This tells where the pisco is made. In our case, we produce in the Denomination of Origin of Lima, but more specifically, in the town of Azpitia. It is common to specify what grapes are used to make an acholado. 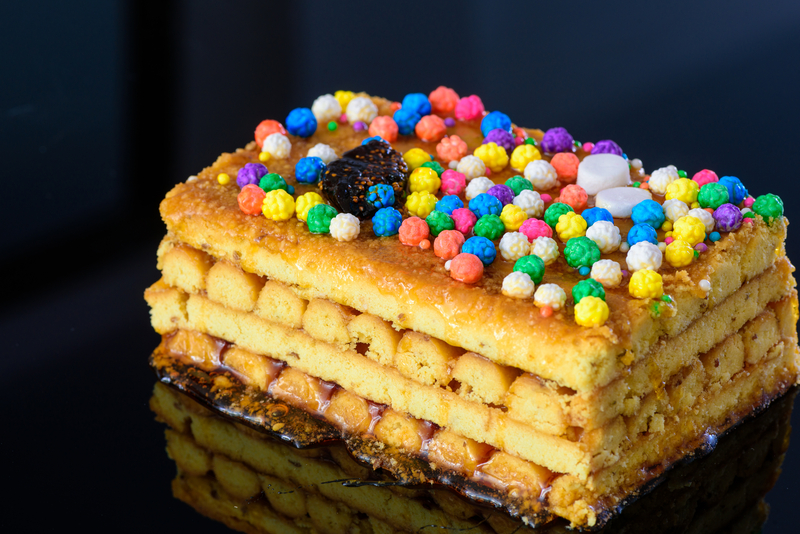 To make our PiscoLogía acholado, we use a blend of Quebranta and Italia piscos. Again, this tells us the type(s) of grape used to make the pisco. In the case, the “quebranta” grape is used. Pisco puro means “pure”, or only one pisco grape varietal. Many producers will provide more information about that single varietal. 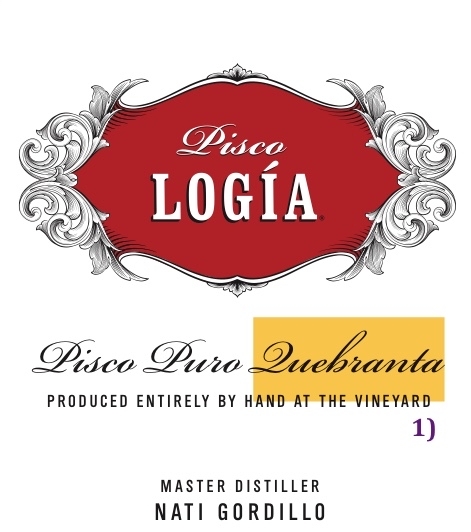 For example, the back of our label states: “A single variety pisco distilled from quebranta, a low aromatic red wine”. We hope we have demystified some of the difficult vocabulary used to label Peruvian pisco bottles. 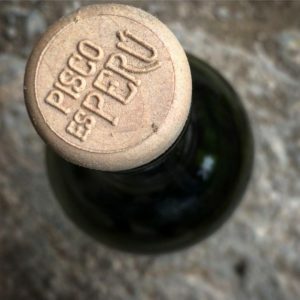 Knowing these terms will give you the knowledge you need to make smart purchase the next time you are looking for PiscoLogía or another high-quality Peruvian pisco. The next step is mixing your cocktails. 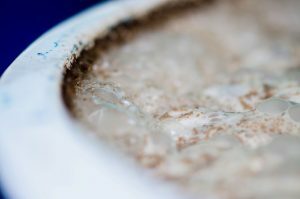 Don’t miss the recipe page on our website: http://piscologia.com/drink-recipes/. ¡Salud! In past posts we have discussed various steps of PiscoLogía’s production process, including harvest, fermentation and distillation. So, what else must happen before our pisco is bottled and exported? 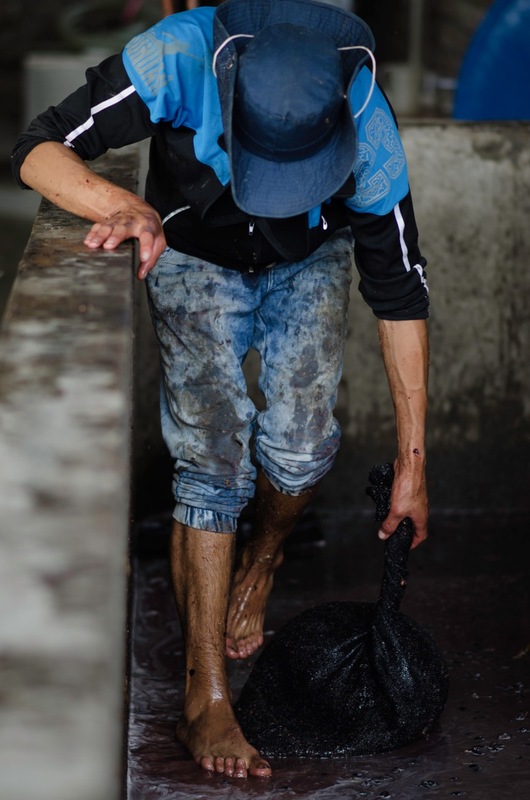 Like most spirits, pisco must rest before bottling. In fact, the regulations of the Denomination of Origin require that Peruvian pisco sit for at least 3 months in neutral casks so as to not alter its physical, chemical or organoleptic characteristics. This allows the flavors and aromas of pisco to evolve, improving the overall quality of the final product (Consejo). At PiscoLogía, we prefer a maturation period of at least 6 months. If we are lucky, our pisco will sit for a couple of years before we bottle. We believe the longer it sits, the more time the flavors and aromas have to meld. Our master distiller and partner Nati explains the reasoning behind this long maturation period: “pisco aromas are extremely volatile. During the sitting stage, these aromas stabilize and blend with the liquid. The Peruvian Pisco Standard requires a resting period of at least three months, but we have our pisco sit at least 6 months to ensure the best quality product”. When discussing volatility in the context of pisco production, it means that the desired aromas easily evaporate at normal temperatures. That means if a pisco isn’t properly cared for, it will lose all its aromatic qualities. A recently distilled Peruvian pisco should rest in sealed neutral casks in order to prevent evaporation and to allow the aromas to blend with the liquid. In addition to melding aromas, the resting period enhances the flavor of pisco while fading out unwanted nuances caused by impurities. Because of its effect on the flavor and aroma, the resting phase of the production process is crucial in creating a balanced, high-quality craft pisco. Consejo Regulador de la Denominación de Origen Pisco. “Reglamento De La Denominación De Origen Pisco.” www.indecopi.gob.pe/documents/20195/200722/6+Reglamento_DO-PISCO.pdf/a2259836-69e6-4c8c-b403-f8c3c38f7039. Peruvian pisco is an unaged wine that is distilled one time. We believe single distillation brings out the characteristics of each grape varietal, whereas a double or triple distillation might mask important flavors and aromas. 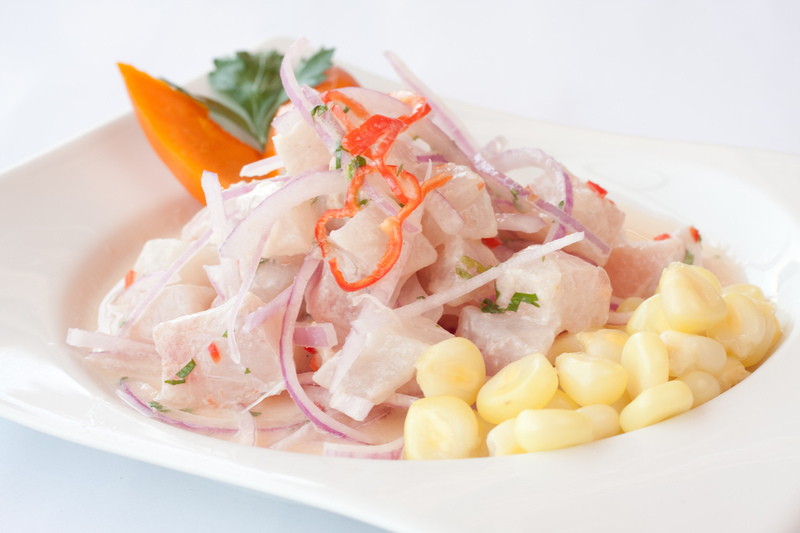 Because Peruvian pisco is a derivative of wine and it is so aromatic and flavorful, it pairs especially well with food. 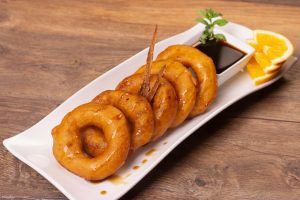 In this post, we have chosen some of our favorite Peruvian dishes and combined them with signature PiscoLogía cocktails to create a perfect harmony of food and drink. 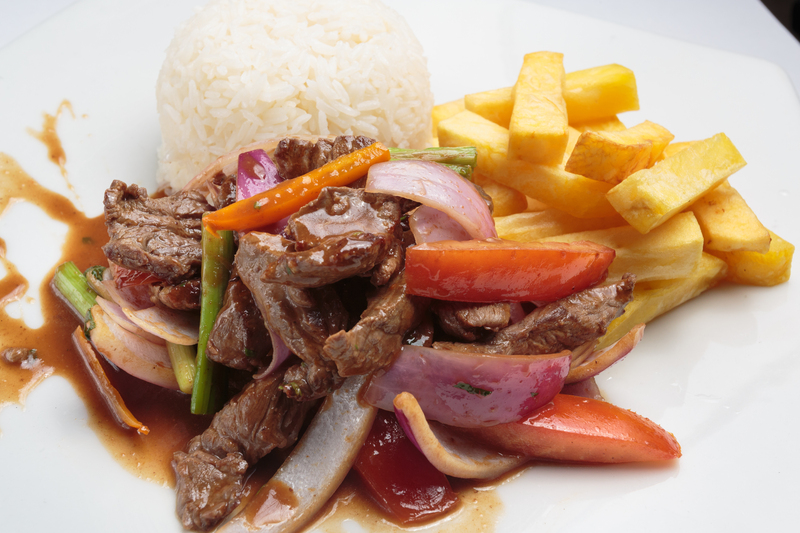 The next time you eat Peruvian cuisine, use this as a guide to enhance your culinary experience. For details about each cocktail recipe, please visit: http://piscologia.com/drink-recipes/. 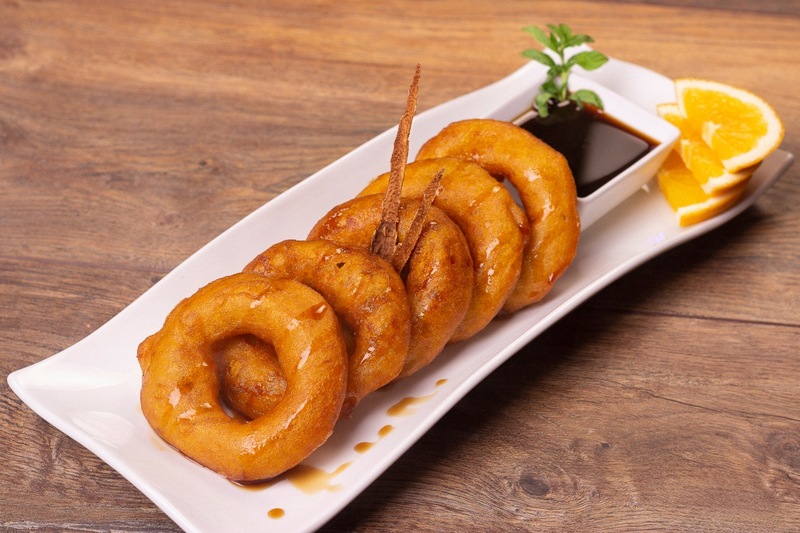 Picarones– Doughnuts made from squash and sweet potato. Served with chancaca (molasses) syrup. Paring notes: In this combination, the aromas of caramelized banana of our Quebranta pisco accentuate the sweetness of the molasses syrup. Turrón Doña Pepa– This dessert consists of chancaca syrup slathered between buttery layers of anise cookies. It is topped with generous amounts of sprinkles. Pairing notes: The raspberry undertones of this cocktail complement the fruity chancaca syrup and the sweet, crumbly cookies. Choros a la chalaca– Mussels stuffed with spicy peppers, onions, corn and tomato. Pairing notes: The combination of sweet and tart in this cocktail cut through the intense flavors of the onion and spicy pepper chalaca salsa. 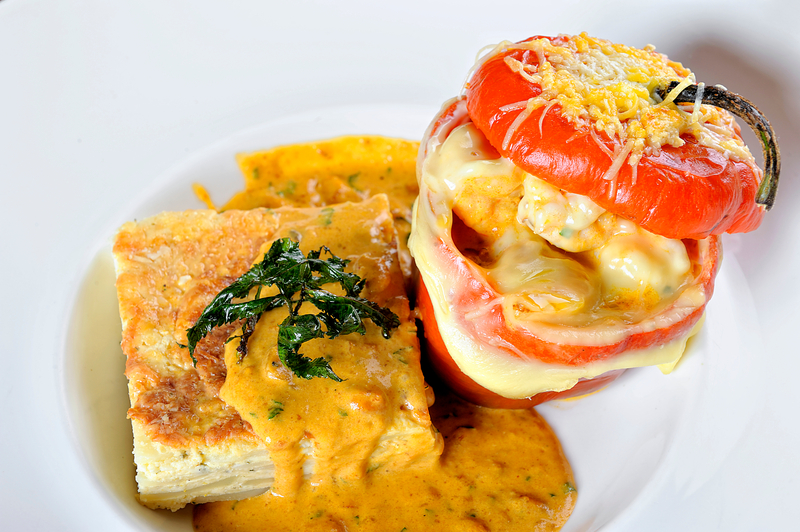 Rocoto relleno- Spicy pepper (rocoto) stuffed with meat, potatoes and vegetables. It is topped with cheese and baked. Usually served with scalloped potatoes. Pairing notes: This limey/pineapple punch is refreshing but hardy, matching the robust flavors of the meat and cheese in this dish. 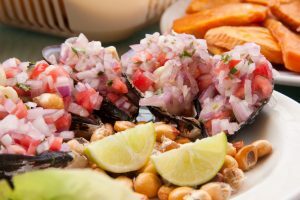 Ceviche- A seafood dish typically made from fresh raw fish cured in lime juice and spiced with chili peppers, chopped onions, salt, and cilantro. Pairing notes: We think Peru’s most iconic dish should accompany Peru’s most iconic cocktail. The gingery acidic flavor of this cocktail pair beautifully with this spicy citrus dish. Lomo saltado- A fusion of Peruvian/Chinese food. This stir fry dish combines sirloin, spicy peppers, onions, tomatoes and soy sauce. Pairing notes: The tannins from the tea and bitterness of the Aperol pair well with the sweet, spicy, savory flavors of this meaty dish. 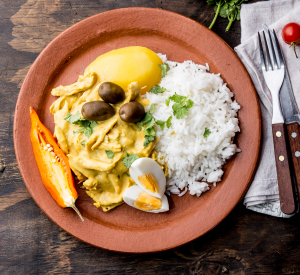 Ají de gallina– A creamy, spicy chicken dish. Ají de gallina is similar to Thai curry, but the Peruvian version uses evaporated milk instead of coconut milk and ají amarillo peppers instead of curry paste. Pairing notes: Another quintessential Peruvian dish that is best paired with a truly “Peruvian” cocktail. This creamy dish needs some acidity from the lime juice to create balance, while the foamy egg-white layer matches the velvety texture of the pepper sauce. Fermentation is now complete, which means native yeasts have converted our sugary Quebranta and Italia grape juice to alcohol, leaving us with tanks of unaged wine. Soon Nati will start distilling this wine in our 300L copper pot still. 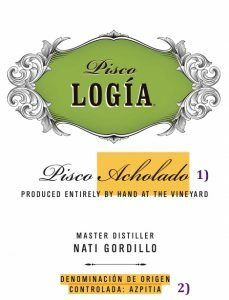 PiscoLogía is made using batch distillation, which allows for greater flexibility and promotes Nati’s artistic expression through pisco-making. There are generally two types of distillation used to create alcoholic beverages: batch and continuous. Continuous distillation is an efficient method of making large quantities of liquor with uniform flavor. On the contrary, batch distillation is more versatile. We believe it allows the consumer to appreciate the true skill of the distiller. 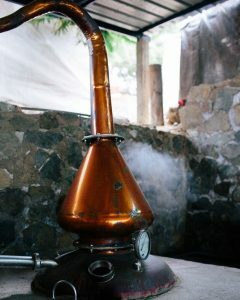 In addition, distilling in small quantities allows us to adhere to traditions that have existed for thousands of years. Archaeologists have uncovered the first artifacts associated with batch distillation believed to be dated over a span of 3,000 years from “the end of the fifth millennium BC to the end of the second millennium BC”. (Belgiorno 21). Using a method that has been perfected over the course of several millennia provides us great satisfaction. It also gives us more flexibility to create an artisan product. Every single batch of pisco that we make is unique. Continuous distillation gives you a consistent product, but consistency isn’t something we strive for when crafting our pisco. We want each and every batch to show Nati’s distilling skills, to reflect the terroir of our vineyards and the characteristics of harvest that year. 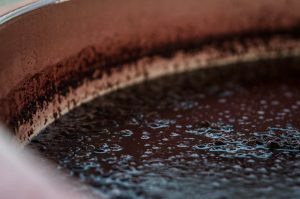 So, how does batch distillation work? 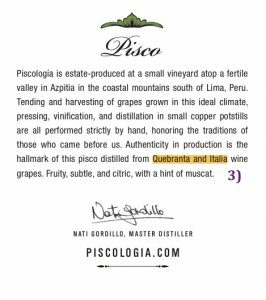 Remember, Peruvian pisco is distilled only one time, which means Nati has only one chance to create an exceptional pisco at the desired proof . 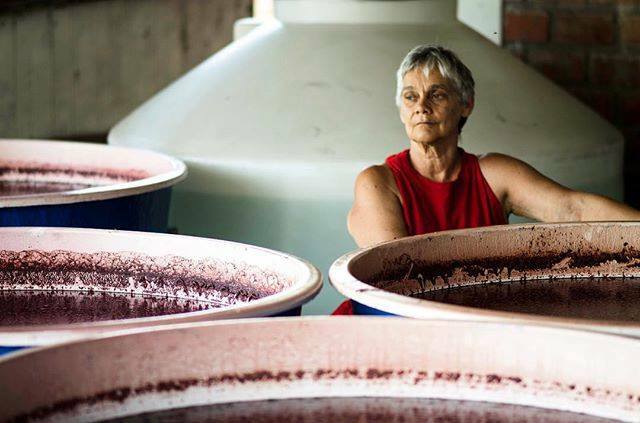 She first loads our copper pot still with wine made from our estate-grown grapes. The still is then heated until the wine boils at a temperature of 78.4 °C/173.12 °F (This is a lower boiling point than water, so the alcohol evaporates faster than water). The vapors travel up the neck at the top of our still, down the lyne arm and into the condenser, where they cool. As all experienced distillers do, Nati separates methanol and other impurities during this process by removing the initial and final condensed liquid (heads and tails). The final result is a pure, delicious Peruvian pisco. Belgiorno, Maria. “Experimental Archaeology.” BEHIND DISTILLATION EXPERIMENTAL ARCHAEOLOGY , edited by Antonio De Strobel, De Strobel Publisher, 2018. “Pot Still.” Wikipedia, Wikimedia Foundation, 25 Feb. 2019, en.wikipedia.org/wiki/Pot_still. 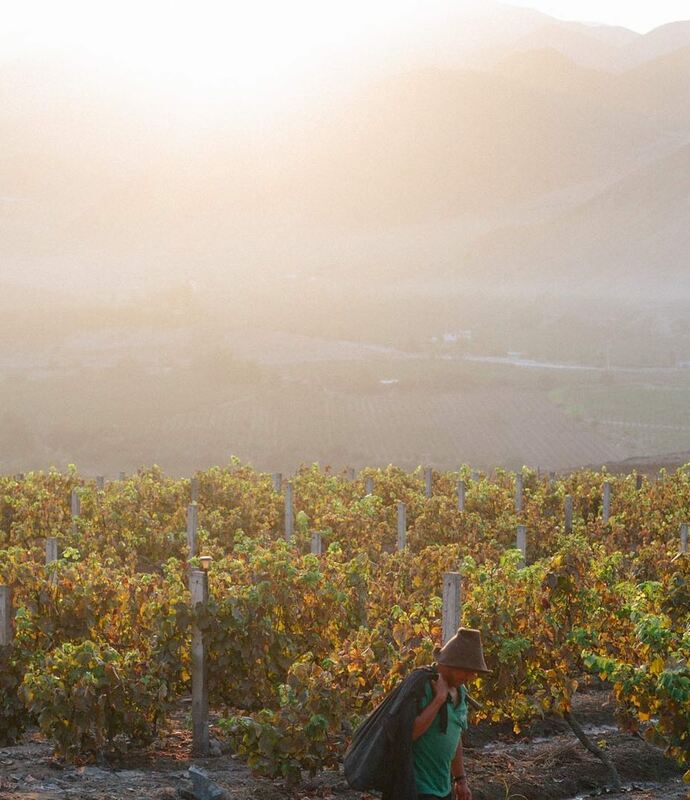 Brix levels have reached 23° and our grapes have ripened to perfection, thanks to the balmy Peruvian sun. The fruit has an acidity of 3.4PH because of the cooling effect of the evening Pacific Ocean breeze. It’s time for harvest. 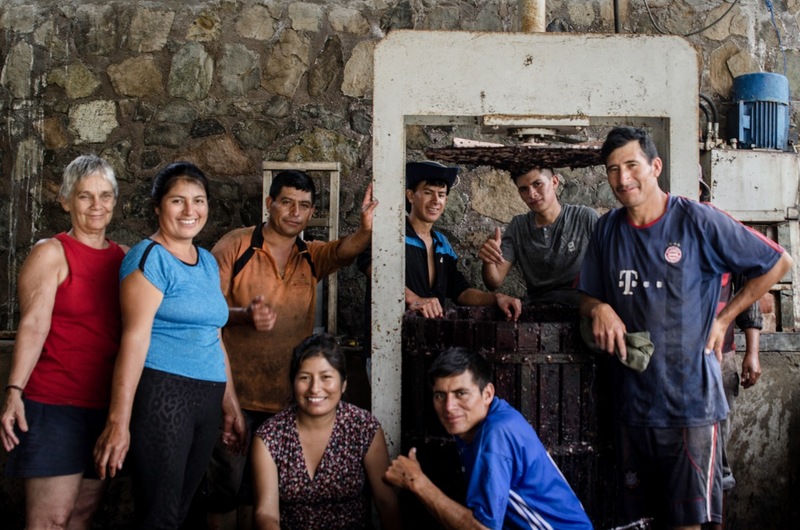 Flor and Samuel, who help care for our grapes, gather their family members in preparation for harvest. With an expected high of 28°C/82° F and humidity of 69% in Azpitia today, it will be sultry. 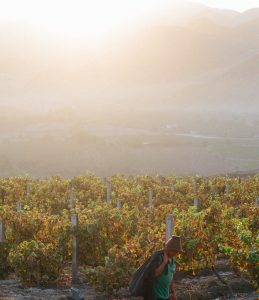 To avoid the heat, we start picking grapes at 5:00AM, when the average temperature is 20°C/68° F.
To maintain tradition, we harvest by hand. That allows us to hand-select each and every grape that goes into our pisco. and then crushed by foot, in order to extract the juice, but not crush the seeds that could add bitterness to the juice. A secondary crush then extracts the juice that remains between the flesh and the skin of the grapes. Nati throws some skins back into the juice, just to ensure Azpitia’s natural yeasts are present. In 7 to 10 days, the yeasts work their magic, the juice ferments and the wine is ready for distillation. Forbes Magazine recently highlighted the role of women in the liquor industry in its “Women Running The Liquor World” series. After reading about these inspirational figures and as Women’s History Month approaches, we have been reflecting on why it matters to be a 100% female-owned company. In this post, Kami and Meg will share their thoughts on the subject. We have experienced economic benefits that could be attributed to qualities of female business leaders. Studies show that companies owned by women could have 13% higher revenues because they set achievable goals, collaborate better, believe in slower, steadier growth and have excellent time management skills (Parets). Our growth has increased by 194% in the past year. Although we can’t prove that upward trend was due to our female partnership, we can attest to the fact that Nati, Kami and Meg demonstrate the qualities listed above. As a team, we have set the very ambitious goal of being the most widely distributed craft Peruvian pisco in the USA and beyond. We plan to achieve this together through a series of practical, methodical steps over the next few years. It has also been shown that women don’t express themselves as freely in the presence of men. In her paper, “Overcoming the Gender Gap: Women Entrepreneurs as Economic Drivers” Lesa Mitchell states: “Men, consciously or not, may act in ways that discourage women from getting involved in high-growth startups or even articulating their ideas as fully as they could” (14). We PiscoLogía partners express our ideas with each other without reproach. This unhindered exchange of ideas was especially important when we formed our new partnership and had to define who we were as a company and what our brand represented. 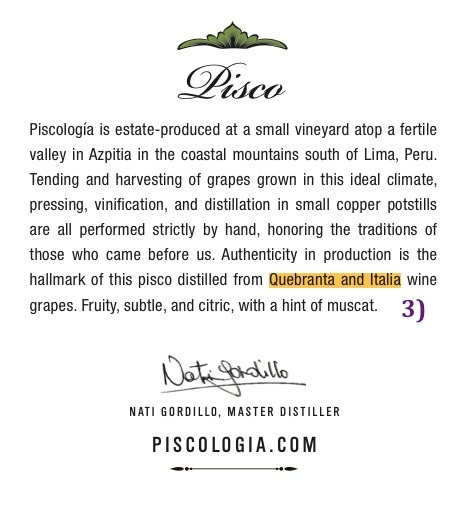 In retrospect, we can now see that our high-quality craft pisco perfectly encapsulates the values of our 3 partners. Not only do we focus on creating the best product possible, but we also treat our workers, clients, and communities with respect and understanding. On the same note, our partners are empathetic to each other. That empathy allows us to value each other’s opinions and needs. Meg McFarland observed: “Nati, Kami and I work well together because we are equally intuitive, nurturing and respectful. I am a mother, Nati is a mother and grandmother and Kami is a very special aunt. The caring relationships we have in our personal lives translate into our business. I believe this understanding has been the key to our success so far”. Finally, in the spirit of collaboration, we plan to use our empathy and intuition to help other female entrepreneurs in the future. Lesa Mitchell also demonstrates that only 29 percent of privately held firms in the US are women-owned” (9) and that women owned firms tend not to grow or prosper nearly as much” (3). For that reason, we are creating a program to mentor other women-owned businesses and aspiring female entrepreneurs (stay tuned). As Kami Kenna states: “it’s important for women to run businesses so we can create a more equitable society. We hope to hone the skills of female entrepreneurs (organization, intuitiveness, personal drive, diligence, dedication, innovation, to name a few) so they can achieve the same success”. The foundation of our company was built by our innately “female” traits, our open communication, empathy and skills. As we continue to learn and grow our company together, we also hope to support women entrepreneurs to create more opportunities for aspiring females around the world, closing the prevalent gender gap and making change for future generations.